[picapp align=”right” wrap=”true” link=”term=targeting&iid=242848″ src=”http://view.picapp.com/pictures.photo/image/242848/thinkstock-images-single/thinkstock-images-single.jpg?size=500&imageId=242848&#8243; width=”380″ height=”253″ /]Tip #1 when establishing your Twitter account is very simple: target the people and brands you want to follow and those you want following you. This simple, yet often overlooked strategy, is the basis for targeting the right people and brands for your business needs on Twitter. How do you create a targeting strategy on Twitter? Data Service: hire a company to perform a database enrichment where your list of current customers, who may be on Twitter-Facebook or 25 other social networks, can be identified through their email address. 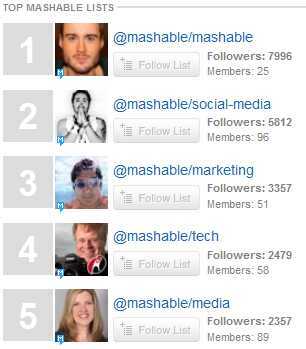 Once you have built your Twitter lists, segmented them according to category, and identified your best customers who are on Twitter or Facebook, you are ready to build a targeted following as well as follow your targeted prospects. 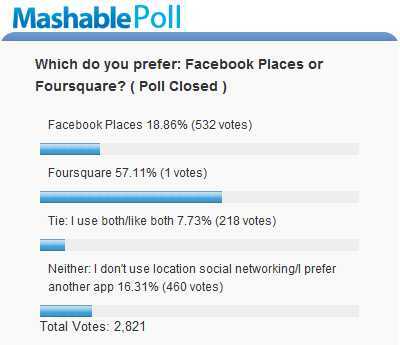 Mashable’s readers responded overwhelmingly in favor of Foursquare- a complete blowout! 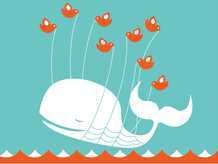 Don’t end up like the Fail Whale! Are you are an aspiring social media marketer, looking to learn and leverage social networks, and interested in enriching your knowledge base? If you are utilizing Twitter as the information engine it has evolved into, following the best social media people and companies is a great place to begin your education. Bloggers are constantly faced with finding media, specifically pictures, that will both draw the attention of their audience and entertain. One of the biggest challenges is finding pictures that are not copyright protected. Beyond mining the Wikipedia’s of the world for your photo content, the best picture resource is PicApp.com. Twitter hashtag events like #WineWednesday and #FollowFriday are powerfully effective networking events that allow participants to recommend people or brands to follow. These events are integral part of any Twitter launch in order to attract new followers, raise awareness for a brand, or begin to create goodwill within the network with your targeted audience. One effective new strategy to raise awareness is the utilization of exclamation marks within a hashtag message. In this example for #WineWednesday, I placed an exclamation mark after @leesgreenberg. The results? Lee messaged the brand that he received an exclamation mark and that he was being recognized as special. Twitter is a creative direct marketing channel. With an anthropologists’ zeal for experimentation you can begin to leverage the network as a tool for more than just simple broadcasting needs.